Cet article prolonge le précédent. 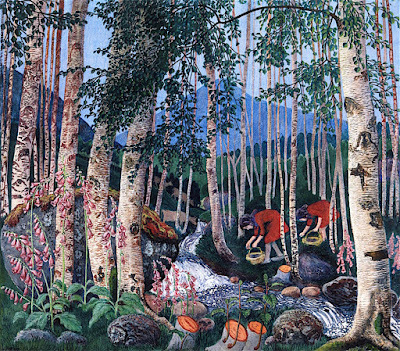 Nous y parlions d'un morceau de Mt Eerie dans lequel Phil Elverum se réfère à deux peintures de Nikolai Astrup. 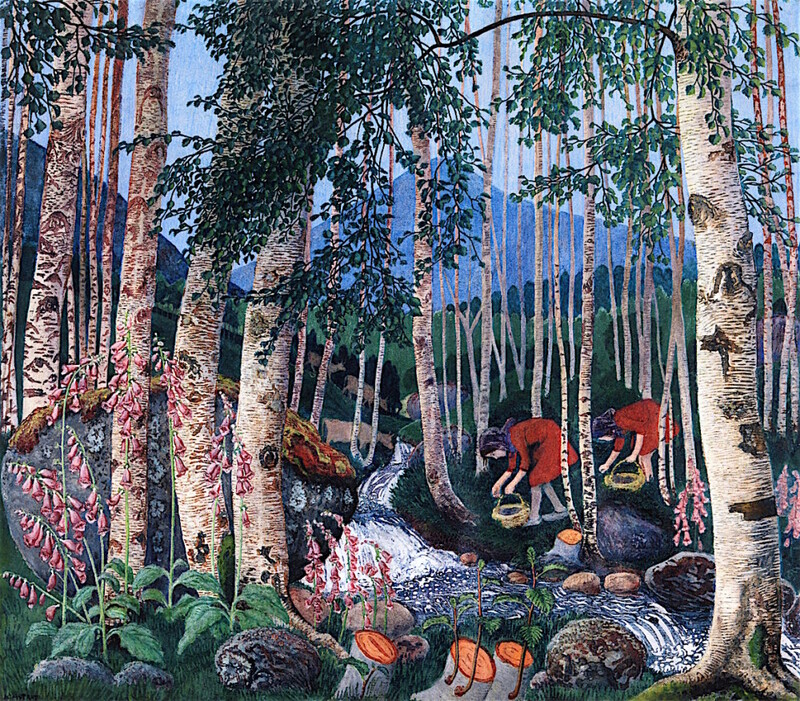 There’s another Nikolai Astrup painting from 1920 called Foxgloves that hangs on the fridge and I look at it every morning and every night before bed. But then the foxgloves grow. I read they’re the first flowers that return to disturbed ground like where logging took place, or where someone like me rolled around wailing in a clearing. Now I don’t wonder anymore if it’s significant that all these foxgloves spring up on the place where I’m about to build our house and go to live and let you fade in the night air, surviving with what dust is left of you here. Now you will recede into the paintings.